Working with an interpreter need not be intimidating. Your WIN interpreter and the deaf or hard of hearing consumer both are motivated to ensure that communication is smooth and of the utmost quality. There are several ways hearing people can help make the most of the experience. Here are some of the most common tips. Speak to the deaf or hard of hearing person directly. If your message is intended for the deaf or hard of hearing person, don't say to the interpreter "Tell him..." or "Tell her..." This can be distracting for the deaf person and the interpreter alike. When you speak to the deaf peron directly, you are making it clear that you recognize that person's existence; this will put her/him at ease. Set up the environment in such a way that the deaf person has both you and the interpreter within her/his field of vision. And just as when speaking to hearing people, maintain eye contact with the deaf person you are speaking with. Otherwise, the deaf person may need to direct her/his line of vision solely on the interpreter in order to understand what you say and may miss elements of your own body language that are helpful to the communication process. Be aware of lighting. Make sure that there is enough lighting in the room for the person to see the interpreter comfortably. This means ensuring that the interpreter is not sitting with her/his back to the window (where the sun can make it difficult to see the interpreter), for example. Go over any jargon, abbreviations, and special vocabulary with the interpreter beforehand. When appropriate, provide the interpreter with any written materials (such as scripts or handouts) to review in advance. Speak at a normal pace. The interpreter may stop you and ask you to repeat or slow down if necessary; however, do not speak too slowly. Do not expect the interpreter to censor anything. Everything that is heard will be interpreted, including incidental background sounds. Do not ask the interpreter for opinions or comments. All WIN's interpreters are professionals dedicated to the interpreting task. They are required to be impartial and practice confidentiality in accord with the Registry of Interpreters for the Deaf's Code of Professional Conduct. Provide interpreters with breaks every hour or as needed. 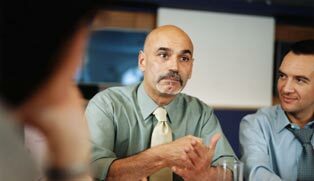 Be aware that assignments which require continuous interpreting such as conferences or meetings longer than 90 minutes will generally require two interpreters to ensure quality and worker safety. Of course, if you have any questions or concerns about using your interpreter, you can always ask the interpreter directly or contact us.